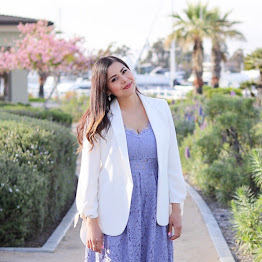 Last month, I received an email from the lovely (and come to find out amazing) Ana Flores, extending an invite to their first annual Latina Bloggers Connect Conference aptly named We All Grow. I have been working with Latina Bloggers Connect since I was a newbie blogger and am so grateful for the opportunities that they have given me throughout the years which is why I decided to take the plunge and get my tickets. I drove up to LA (on my own) on a Friday morning at 4:30 am not knowing what to expect upon my arrival, all I knew was that I could count on this conference having a nurturing atmosphere, after all, the name said it all "when one of us grow, We All Grow" and so it had that... and much more. As soon as I got there I saw familiar faces and it was like we all knew each other for years! Everyone was so welcoming and thriving with excitement (plus it didn't hurt that Beyonce had eaten dinner at the same location the night before). The conference had panels of amazing women, sponsors, and companies that connected with us by sharing their success stories and tips. There were also some great sponsor suites sprinkled inside the LINE hotel. One of my favorites was the Neutrogena suite where we were treated to a glam session- facial, make up and hair, oh my! Pictures below! The newest spokesmodel for Neutrogena, the gorgeous Eiza Gonzales was also there! What I learned… My aha's came from such messages like "done is better than perfect" and "build the architecture of the life you want". There was a lot of talk of balance, especially when being a mom (which I hope I will be in the future) and how there is no perfect balance just "setting the priorities that you want in your life" and also prioritizing being in the moment during important events. The women who were chosen to give us advice were role models in their own right, there were women who have extensive careers and most of them had kids, relationships, businesses and more. I really appreciated how open Sponsors were with us, telling us what they value about bloggers especially when they sign them on for campaigns. On top of their list: authenticity, having an engaged audience that trusts you and even simple professionalism (being on time, meeting deadlines). Overall… I came to a realization, that you can buy Blogging 101 tutorials, handbooks, but you can't buy networking, blogging friendships and this amazing feeling of connectedness to other like-minded individuals, especially in the atmosphere that Latina Bloggers Connect created. If you have an opportunity to go to a blogger conference, go even if you do take the plunge like I did going on my own. I met so many great bloggers, sponsors and Latina women! Consider it an investment in you, your blog and your brand. My only regrets… that I didn't do the whole 4 days!! #WeAllGrow will be back next year, make sure to buy your tickets when they come out! See what I wore on Day 1! See what I wore on Day 2! I'm now following you on GFC+ and bloglovin'. Hope you'll do the same! What a wonderful community! I haven't signed up with any blogging communities yet but this sounds so inspirational! Man... I need to go next year! It looked like such a fun conference. It looks like an amazing event! Thank you for recapping and highlighting what you took away from it, I love that. I was not able to make it this year, but your post makes me want to make sure that I am there next year.